Lillian Moller Gilbreth, of Montclair, New Jersey, 1921. 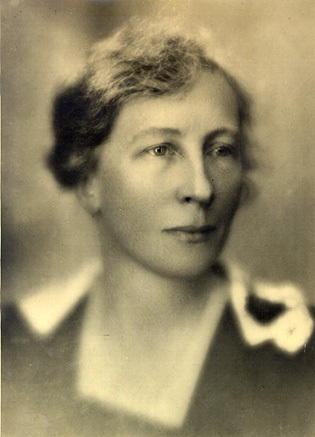 Lillian Moller Gilbreth, of Montclair, New Jersey was a pioneer in engineering and scientific management. She and her husband were the parents of twelve children and the subject of a book, about their application of scientific management principles to the home. Cheaper by the Dozen. This picture was taken in 1921. Image Gilbreth 01.jpg available on the Wikimedia Commons as public domain.